STATUS: Etihad Guest made some minor changes to the award pricing of its own flights effective January 2018. All figures in this guide have been updated accordingly. In this guide, we’ll look at the options for redeeming Etihad Guest miles mainly on partner airlines, and we’ll explain why outright redemptions and upgrades on Etihad flights don’t make much sense from New Zealand. Be sure to check out our guide to earning Etihad Guest miles in New Zealand. Etihad also now let you purchase miles – you can read more about this here. We have included the standard miles purchase price in some of the tables in this guide. Etihad isn’t part of one of the big three airline alliances (oneworld, Star Alliance or SkyTeam); instead, it has built a network of its own with 32 airline partners. Its partners that fly from New Zealand include: Virgin Australia, Air New Zealand, American Airlines, Hainan Airlines, Philippine Airlines, Korean Airlines and Malaysia Airlines. Each partner has their own individual award chart. It’s not simple to decipher, so that’s why we’ve done it for you. While you’d think that the key partner for Kiwi travellers in the region would be Air New Zealand, it’s actually Virgin Australia. They have some excellent pricing on South Pacific and Trans-Tasman routes in both Economy and Business Class. For example, it’ll cost you 13,000 Etihad Guest miles for up to 1,250 miles of travel on Air New Zealand in Economy. This will only just get you a one-way flight from Auckland to Nuku’alofa. The same flight on Virgin Australia can be had for 6,900 Etihad Guest miles in Economy, or 13,800 in Business. Virgin Australia Business cabin offered on their 737, available between Auckland and Nuku’alofa. Photo courtesy of Virgin Australia. The Virgin Australia award chart for Etihad Guest miles redemptions is here and you can find information here. The award table shows costs for routes that are no longer in operation, as well as for Premium Economy cabins on many flights which don’t operate a Premium Economy cabin. In a nutshell, Aussie flights in Business Class cost 21,800 one way, increasing to 33,800 for medium and long distance flights. Nuku’alofa (Tonga) and Sydney via Queenstown are the exception – at 13,800 miles for Business Class, they’re an absolute steal, especially for international routes – and two that I didn’t know about before I started doing this research. Award availability with Virgin Australia is known to be amongst the best out of all Etihad’s partners. Nelson Yap is an Australian Point Hacks contributor, and has run through this process first-hand. 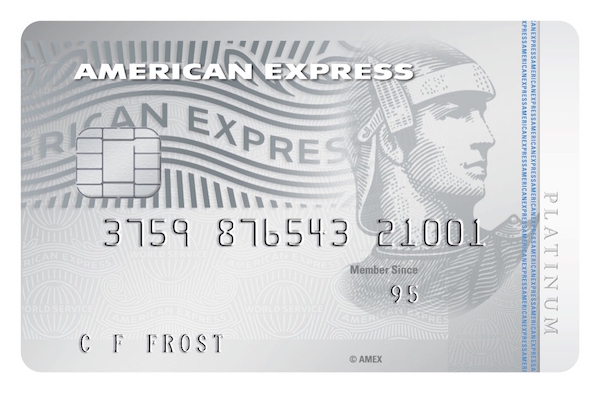 I transferred a bunch of my American Express Membership Rewards points over to Etihad Guest. I then rang Etihad Guest’s Australian number on 1300 532 215. The call centre is open 24 hours 7 days a week. Within 5 minutes I was speaking to an Etihad agent, and after verifying security details, I asked to redeem two business class award tickets on Virgin Australia. The agent said that could be done now, subject to availability. I’d already checked Velocity reward availability on the Virgin Australia website before, and this matched with what Etihad were able to book. My Melbourne to Perth flight was booked for 43,600 Guest Miles and a credit card number supplied to pay for the $40.70 fuel surcharge for two passengers. Within a few minutes Etihad had sent through the itinerary which included the Virgin Australia booking reference, allowing me to go to Manage My Bookings on Virgin Australia to select my seat. Air New Zealand is the most familiar airline for residents on this side of the Tasman, and has the most extensive network. Air New Zealand have frequent sales on domestic flights, with most routes costing well under $100 one-way throughout most of the year. On this basis, I cannot see the use of 13,000 Guest Miles for any domestic route to be good value. Virgin Australia have better redemption rates than Air New Zealand for Trans-Tasman and South Pacific flights, and more Business Class availability. They should be your preference if they fly to your preferred destination. American Airlines offer seasonal direct flights between Auckland and Los Angeles. The American Airlines award chart for Etihad Guest miles redemptions is here. The award chart is…quite weird. Only flights that are both operated and marketed by American Airlines, American Eagle or American Connection are available for redemption. However, the table includes redemption rates for routes entirely within countries like Australia and New Zealand. These would be impossible to redeem as AA doesn’t fly domestically in either country. There are reports that it can be very difficult to find award availability on American Airlines through Etihad, even if the same seats are shown as available on the AA website – be prepared for a frustrating phone call and staff who aren’t sure about what they’re doing. Nevertheless, if you can snag one, their mileage rates are pretty good, especially for Business Class flights across the Pacific, coast-to-coast domestic in the US, and flights around the Hawaiian islands. 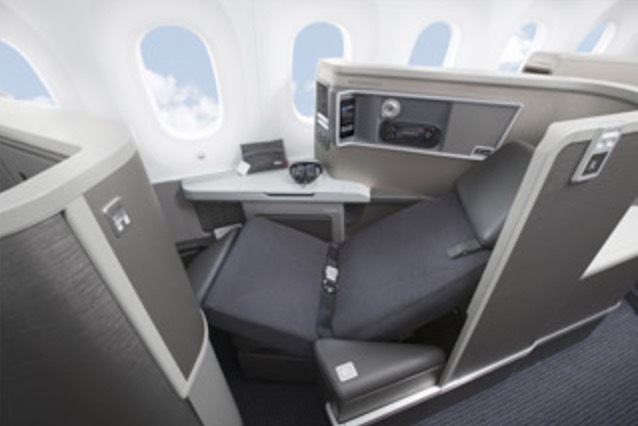 American Airlines Business cabin offered on their 787 Dreamliner, available between Auckland and Los Angeles. Photo courtesy of American Airlines. Hainan Airlines have return flights from Auckland to Shenzhen 2-3 times per week. Redemption rates for internal flights in China are much better, albeit as a result of some of the shorter distances between major cities. A one-way flight from Shanghai to Beijing for example is only 7,000 miles in Economy, or 14,000 miles in Business. An ultra short one-hour flight between Beijing and Dongying is only 3,500 miles in Economy, or 7,000 miles in Business. Korean Air has daily return flights between Auckland and Seoul November to March, and 4-5 flights per week for the remainder of the year. Considering the short distances in South Korea, domestic flights for 7,000 miles in Economy, or 14,000 miles in Business seem a bit exorbitant, especially compared to Hainan Airlines flights in China. Malaysia Airlines have daily return flights between Auckland and Kuala Lumpur. Redeeming Guest Miles for flights on Malaysia Airlines within Southeast Asia looks to be great value – an award seat on a return itinerary from Kuala Lumpur to Singapore or Ho Chi Minh City would set you back a modest 7,000 miles in Economy, or 14,000 miles in Business. Philippine Airlines offer three return flights between Auckland and Manila per week. You can see the Philippine Airlines award chart here. What about redeeming Etihad Guest miles on Etihad flights? A seemingly obvious option is to redeem miles on Etihad Airways itself. 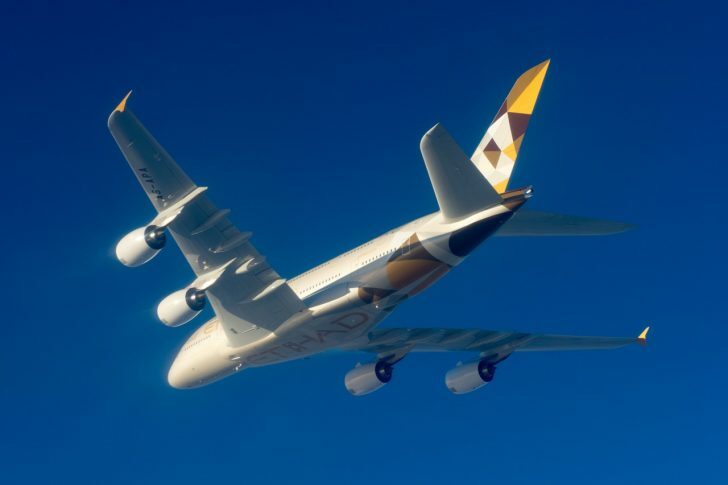 Etihad flies to over 100 destinations globally, including their A380 service from Sydney and Melbourne. Unfortunately for New Zealand, Etihad haven’t followed the same paths as their Middle Eastern competitors Qatar and Emirates, in that they don’t fly direct from any New Zealand airport to Abu Dhabi. This means you can only redeem Etihad Guest Miles on Etihad Airways if you are commencing your journey from Australia, so you would need to organise a positioning flight from New Zealand to Australia separately. With numerous devaluations, including more in June 2018, I find that it makes very little sense to redeem Etihad Guest miles on flights with Etihad anymore. The relative difficulty in accruing Etihad Guest miles in New Zealand means that these redemptions will be out of reach of most. How do I make an award booking with one of Etihad’s partner airlines? Partner flights are not bookable online – you’ll need to phone the 24-hour Etihad Guest call centre in Australia on +61 1300 532 215. Want to cancel or make changes to your award booking? Etihad Guest allows you to make date changes to your award booking for a fee of AED 100 (= ~$38 NZD). You cannot change the route of travel or the original departure and arrival city – you’ll have to cancel and re-book. Cancellations will cost you 10% of the total redemption cost in Etihad Guest miles, with the rest fully refunded. The best uses of Etihad Guest miles for travellers based in New Zealand are for Virgin Australia flights and American Airlines flights to Los Angeles and beyond. Try to avoid using your miles on Air New Zealand and Korean Air. Hi. Thanks for this article. We’ve booked business class fares with Etihad from Auckland to London via Abu Dhabi. We are airpoints members and Etihad guest members. If we’re likely to be flying within New Zealand in future, I assume it’s better to use our airpoints number. Would it be too much trouble to confirm that please? Hi Katrina, take a look at our guide on how to choose which program to credit your frequent flyer points to. To find out how many Airpoints Dollars you’ll earn, use this calculator. Indeed you are correct! Thanks Ian.